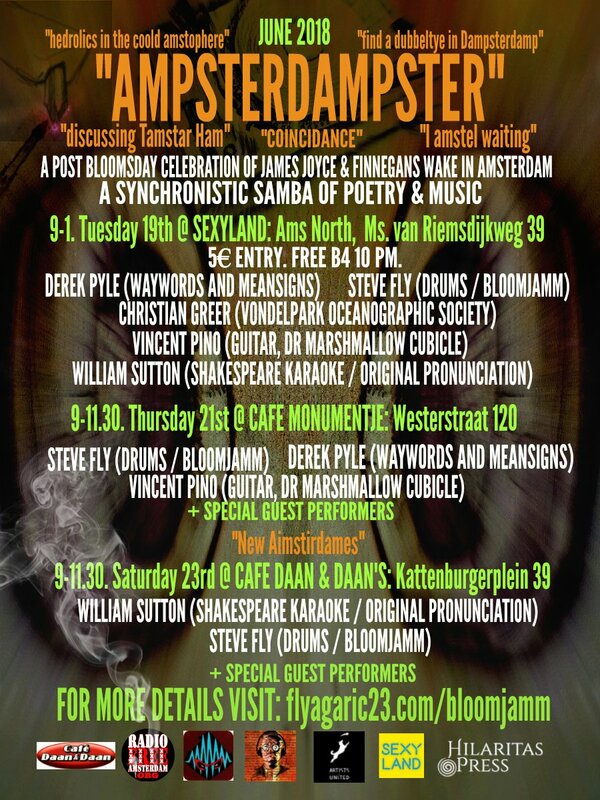 Flyer for Steve Pratt's James Joyce event in Amsterdam. May Eris of the Month at Historia Discordia. Two new James Joyce books. (Via Roman Tsivkin on Twitter). Adrian Reynolds: "You're Not on a Hero's Journey. Deal With It." Reading the essay made me think Illuminatus! is a hero's journey for Joseph Malik. 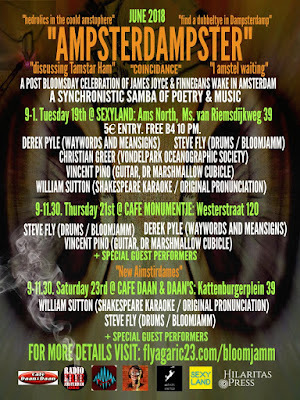 James Joyce celebration in Amsterdam, June 19-23, featuring Steve "Fly Agaric" Pratt and others. For more information, please go here. NOTE: Google's system for notifying me when someone posts a comments appears to be working poorly. Apologies if you posted a comment and it took a couple of days to be approved. I will check Blogger directly every few hours. Thanks for the heads-up Tom.